AllSaints - Further reductions, 最高折扣達50% OFF. 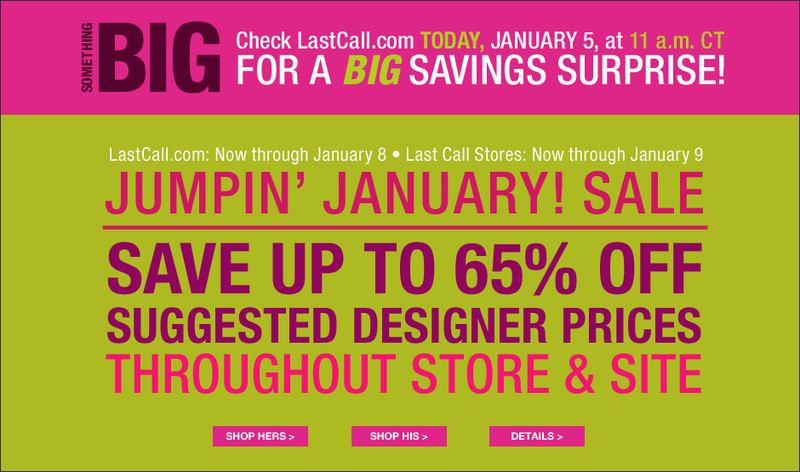 Neiman Marcus - Last Call Sale. 最高折扣達65% OFF. Browns Fashion - Further reductions, 最高折扣達70% OFF. LUISAVIAROMA - Further reductions + New items added. 最高折扣達70% OFF. Net-A-Porter - 部分打折商品Extra 20% OFF+ New items added. 最高折扣達70% OFF. My Theresa - 秋冬大清倉, 最高折扣達60% OFF. 有Balenciaga Papier bag還有很多名牌好貨噢. 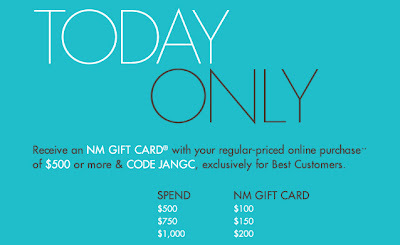 Juicy Couture - 打折商品Extra 40% OFF. 截止日期 1/3/2012. 放進shopping cart自動打折. Urban Outfitters - 實體商店所有打折商品Extra 50% OFF. 截止日期 1/2/2012. 網路商店也有新折扣. 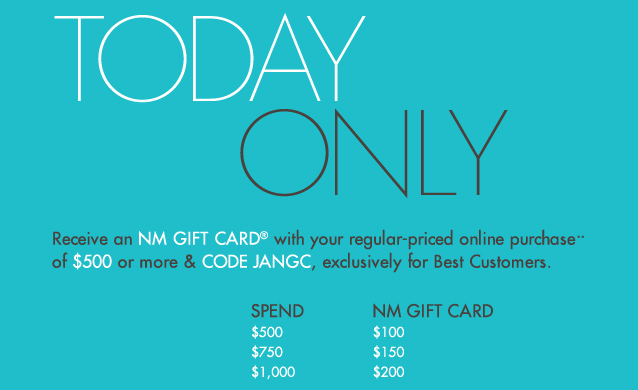 Last Call by Neiman Marcus - 打折商品Extra 30-60% OFF. 截止日期 1/2/2012. 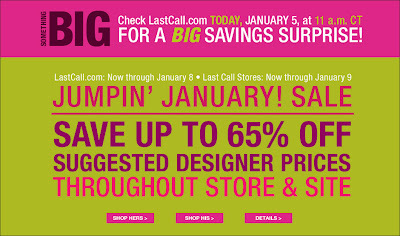 Saks Fifth Avenue - Designer Sale. 打折商品Extra 50% OFF. 只有兩天. 截止日期 1/2/2012. Abercrombie & Fitch - Hoodie & Sweatpants 50% OFF. C&C California - 清倉大折扣. 截止日期 1/2/2012. Charlotte Russe - 全店25% OFF. 只有一天. 放進Shopping Cart自動打折. 截止日期 1/1/2012. Ella Moss - End of season sale + 免運費. 截止日期 1/1/2012.